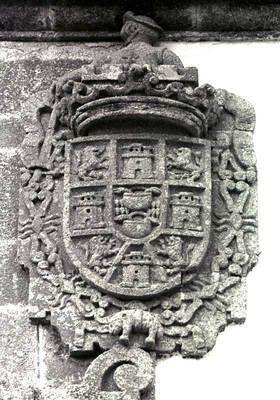 Castilian coat of arms dating to a later period (?). Located on the outskirts of Santiago de Compostela, its Romanesque fabric (1144- c. 1168-72) has survived. .